Maine has adopted ranked-choice voting. THIS YEAR Maine became the first in the nation to use ranked-choice voting for its statewide elections. The system allows voters to rank a field of candidates from first to last when filling out their ballots, as opposed to voting for a single person. Electoral reform advocates, political scientists, and the rest of the country watched Maine’s primaries closely. Generally speaking, the system did deliver on its promises — and did so at a reasonable added cost of only about $110,000, with none of the major controversies or chaos many of its critics predicted. Now Massachusetts must follow Maine and become the next state to adopt ranked-choice voting. Also known as instant runoff voting, ranked-choice has been praised as a fairer, more democratic alternative to the status quo because it ensures whoever wins has the support of the majority of voters and not just an electoral plurality. If no candidate gets 50 percent or more of first-choice votes, then the last-place candidate is eliminated and that candidate’s votes automatically get reallocated to the second choice listed on those ballots. The process then repeats as many times as is necessary until one candidate reaches a majority of votes. In reality, this voting system would not exactly be an experiment in Massachusetts. Cambridge has been using ranked-choice to elect city council and school committee members since 1941. Universities like MIT, Harvard, and Tufts use it for alumni or student government elections. Many parents across the Bay State already fill out ranked ballots to list their preferred public schools for their children. Ranked-choice voting comes with many advantages. 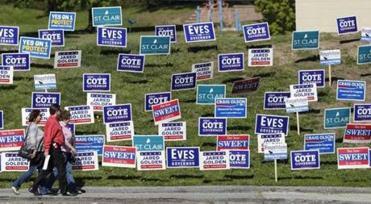 It invites the electorate to weigh pluses and minuses of a broader slate of candidates. It eliminates the split among like-minded constituencies, which can in turn help to elect more diverse candidates. At a time when Massachusetts has the least diverse state legislature, ranked choice is an upgrade worth enacting. Voters are going to the polls in Maine, Nevada, Virginia, South Carolina and North Dakota. Some candidates of color have faced troubling calls to drop out and coalesce around a single candidate in order to avoid splitting the minority vote. The same dynamic is already at play in the current race for Suffolk County district attorney. Proponents of ranked-choice voting argue that it is the current plurality system, not a particular candidate, that is the spoiler. Because the ranked-choice system is associated with an increase in voter engagement, it also results in greater turnout at the polls. It often prompts candidates to run less acrimonious campaigns. That’s because all candidates know they have to appeal to diehard supporters of other candidates in order to earn the second and third spots on the ballot. 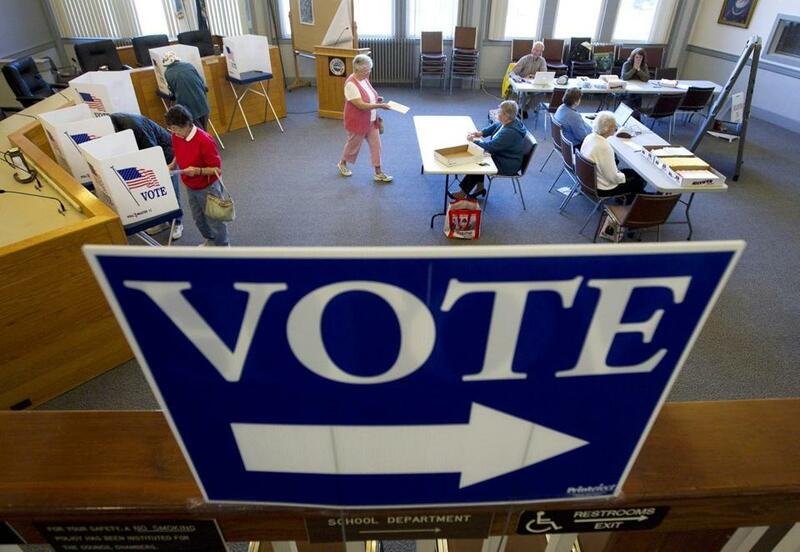 The Massachusetts Legislature would be wise to adopt ranked-choice voting, coupled with a robust voter education campaign, for statewide elections. Cities and towns should have a local option to use it as well. In an era when voting rights increasingly are under attack, ranked-choice voting is an opportunity to lead the nation and bring fresh energy to a fundamental pillar of the democratic process.